I've heard stories of Earth. A paradise. Until we destroyed it. As a SF fan I found the images shown in this film sometimes simply beautiful. The landscapes, futuristic buildings and high-tech spaceship. 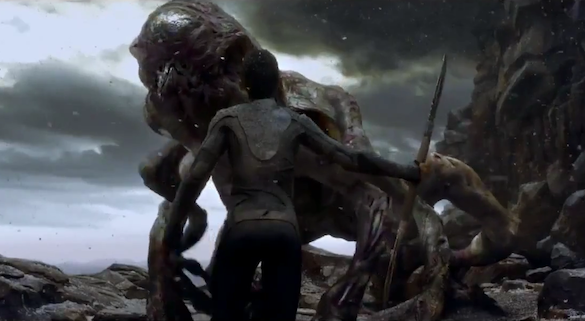 Not that the images could match that of "Oblivion". And that's about it, because the story on its own was pretty boring ,annoying, not exactly masterful and inventive. The magic box with computer effects was used repeatedly and delivered some gems of images. Like the free fall and the pursuit by the giant eagle. The part in the nest with the attack by the lions was also nicely done. Only the Ursas couldn't convince me. The story was predictable and monotonous. 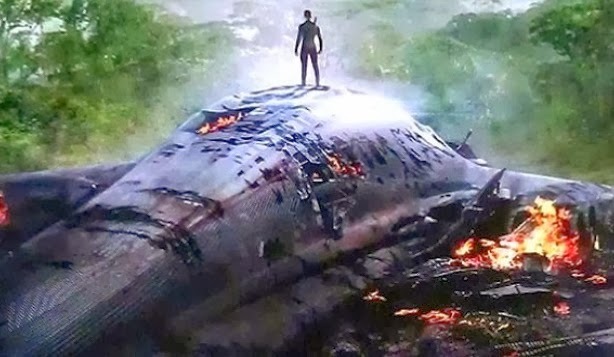 It surprised me that the giant eagle didn't return Jaden out of gratitude. About the acting I can be short and concise. Will Smiths role didn't need any performance skills. Setting up an emotionless expression on his face the whole time isn't that hard to do. No fear and no feelings. A military commander, who follows his son remotely after the crash and gives advice once and a while. The only acting he showed was when he had to put on a painful grimace and experiences flashbacks. 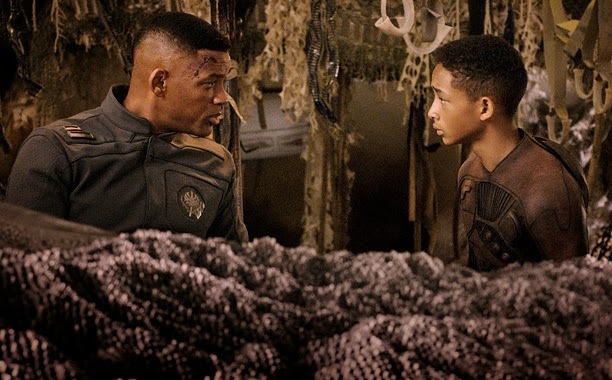 About Jaden I can be even shorter: he paid very good attention to his father's performances in other films. A plastic face without a lot of emotions and no acting talent. 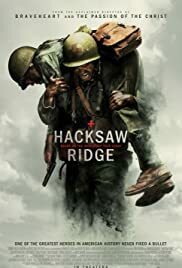 Apparently this movie and the help of his father is just a way to lead him to eternal fame. 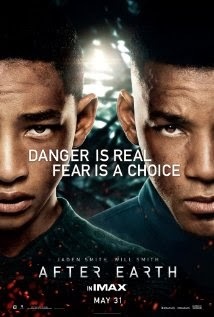 I like most movies in which Will S. acts and I think that the weak point in this movie is his son Jaden. In "The Pursuit of Happiness" it was bearable. But that was because of his childlike innocence, I guess.